First of all, Happy Halloween Weekend! 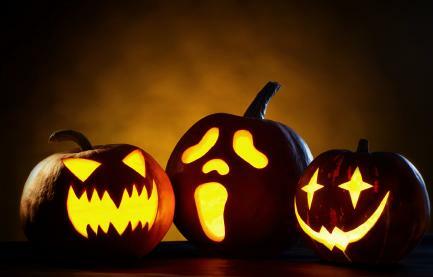 It is Halloween and the Weekend, imagine how happy we are. Now that you are dressed in your Fall favorites, Kay is back in the house to guide you to some spooky spots. Although Vancouver is a relatively young city, it has got its fair share of paranormal activity and historically-grounded ghosts roaming around town.With all its supernatural bits, Vancouver still has a handful of fun events to attend for Halloween. Before you say, “Dunbar Haunted House”, it has , unfortunately, been closed after running every Halloween for over a decade. But that doesn’t mean there’s not more to do in the city. Not into the club scene? Here are some spooky things you can get up to this Halloween in Vancouver! Get your paintball guns and get ready for the zombie apocalypse we’ve all been waiting for. The Zombie Combat Zone is a 45-minute interactive experience in the creepy setting of Semiahmoo Park in White Rock. Everything is scripted to make you feel as though you’re in one of those post-apocalyptic zombie games. Ever played Left 4 Dead? Or Call of Duty: Zombies? You’re taken through a bit of a horror-flick narrative and it’s your job to save a group of scientists looking for the cure for the surrounding flesh-eating creatures. Come with a big group and just know that bookings need to be made in advance! This one is a personal favourite! This is where childhood dreams come true and live beyond the years of just getting free candy. First of all, it’s all beautifully made. It’s a chilly train ride in the park but completely worth it. Everything is decorated to perfection and the actors have created tableaux that are more stunning than they are scary. As you can imagine, this train ride is definitely kid and family-friendly. Just make sure you bundle up because it’s getting a little frigid here in Vancouver! OK, this attraction is definitely not for children or even for the faint of heart for that matter! Dr. Sun Yat-Sen Chinese Garden’s ordinarily pristine nature is transformed into something closer to nightmarish. There will be tons of actors portraying terrifying characters, dancers, and musicians to make this haunted house especially chilling. You can expect the place to be scary as hell, as it’s all been organized by professionals—the Seven Tyrants Theatre. We personally find the Capilano Suspension Bridge to be scary as is. Especially when you’re that friend who likes to jump erratically once you’ve reached the ricketiest part of the bridge: the middle. For Halloween, the people at Capilano Suspension Bridge have set up an elaborate display of carved and lit Jack-o-lanterns throughout the entirety of the park. Adding to the Halloween festivities, there will also be fortune tellers brought forth to predict your future! If you’re a fan of Treetop Adventures—being about 110 feet above the forest floor and all—the park is also offering a special Halloween-themed Treetop Adventure. Jump on it at night and let us know how confident you feel looking down at the dark forest below! And if you like to keep things posh, we have another option for you. At the Fairmont Vancouver Hotel is where one of Vancouver’s most beloved ghosts resides. The lady in red is said to have been seen by several of the staff and guests at the hotel. If you check the menu at Griffins, there’s even a cocktail named after her. For Halloween, the Fairmont amps up its festive factor by allowing guests to dine with the elegant lady in red herself. You can enjoy afternoon tea or a meal at Griffins with the spirit herself! Choose your favorite and enjoy the spook-fest. And if you survive it, we will see you later! Next > It’s so Sweet, It’s Soirette!